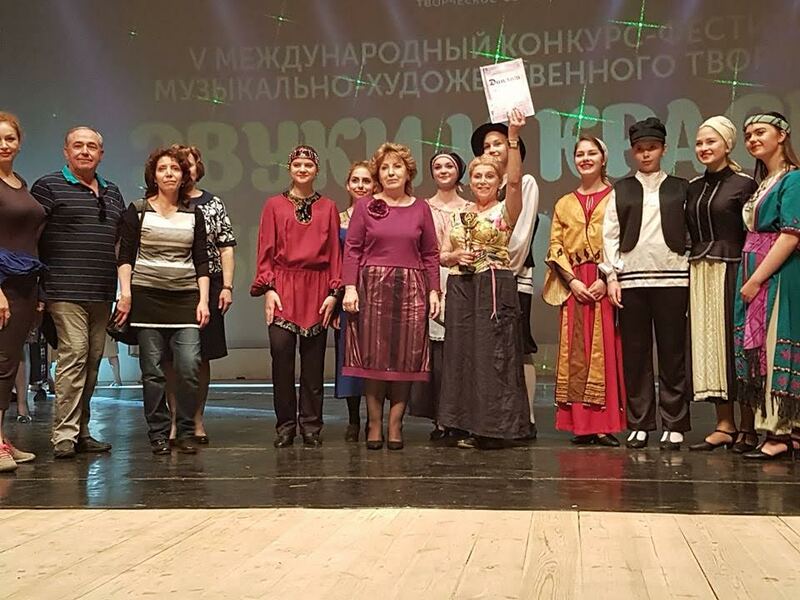 Fourteen participants from ages 18 to over 55 competed Sunday in the best Jewish woman contest Israelit de Lita in Vilnius. Categories included cooking, talents and knowledge. Contest organizer Larisa Vyšniauskienė explained feminine beauty fades over time, but spiritual beauty remains, and that was the basis for this competition. 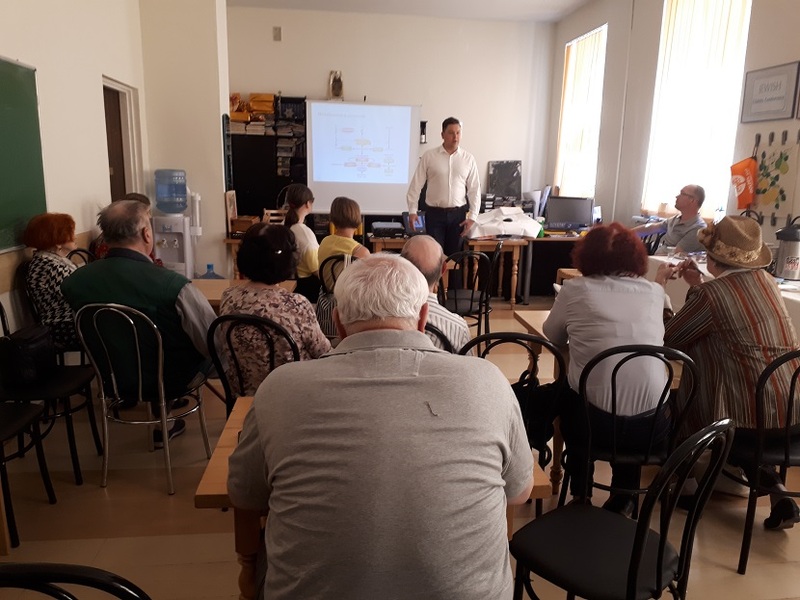 The participants earlier attended lessons for several months on Jewish history, cuisine, cosmetics, fashion and the woman’s role in the Jewish family. The Fayerlakh group provided music and dance for the event. Arkadijus Vinokuras and Božena Sokolinska were the MCs. The Lithuanian Jewish Community ushered out 2018 with a concert Monday called Heart to Heart with Markas Volynskis and Marija Drukshna on vocals, Jurijus Sukhanovas on piano and Boris Kirzner on violin. Shmuel Yatom, the cantor at the Choral Synagogue in Vilnius, opened the concert by reminding the audience the synagogue is celebrating its 115th anniversary currently. His words and songs, some solo, some with Markas Volynskis, created a warm and comfortable atmosphere in the hall. Well-known Lithuanian mezzo-soprano Judita Leitaitė MCed the concert and sang to a great response from the audience. Her warm and funny introductions of the other performers also contributed to the entertainment. Musical works by Kern, Pakhmutov, Dunayevsky and Olshanetsky, classical Russian favorites and old-time Jewish favorites elicited much applause. The Lithuanian Jewish Community will host the concert Heart to Hear at 6:00 P.M. on December 17. The concert is free and will include singers Marija Dushkina and Mark Volynski, pianist Jurijus Suchanovas, Boris Kirzner on violin and an appearance by the soloist Judita Leitaitė. Shmuel Yatom, the cantor at the Choral Synagogue, will be the guest of honor. The program includes works by Kern, Pakhmutov and Dunayevsky as well as popular classic Jewish and Russian tunes. The Fayerlakh song and dance ensemble announces the finale of the Israelit de Lita Best Jewish Woman contest 2018/5778 and music show to be held at 4:00 P.M. on December 23 at the Vilnius House of Polish Culture, Naugarduko street no. 76, Vilnius. For ticket information, contact the Lithuanian Jewish Community at +370 5 261 3003 or Valerija Jurevičiūtė at +370 646 84 823. Our 30th birthday Hanukkah celebration was just as fun as it was 30 years ago, and almost the same number of people attended, around 400. Although times have changed, there’s a new generation and we have lost many of those who attended in 1988, we remember them, say a good word about them and take joy in the present, in the fact that Community members of all ages came to celebrate, including children and young families from the regional communities. Lithuanian Jewish Community chairwoman Faina Kukliansky welcomed celebrants. Social programs department director Žana Skudovičienė spoke about the first post-war communal Hanukkah celebration on December 4, 1988, held at the Dainava restaurant in central Vilnius. Then as now, Yiddish was spoken and sung, and the Fayerlakh ensemble performed, while 30 years ago the event was organized by the Lithuanian Jewish Cultural Association. This year we celebrated at the Radisson Blu Lietuva hotel in Vilnius. The Israeli klezmer band Gefilte Drive and saxophonist Juozas Kuraitis performed and delighted the audience with their concerts. Maša Grodnikienė recalled for us the first Hanukkah celebration by the constituent Lithuanian Jewish Community back in 1988. Lithuanian Jews who survived World War II celebrated Hanukkah quietly at home. In 1987 the Lithuanian Jewish Cultural Association formed and Emanuelis Zingeris became chairman. 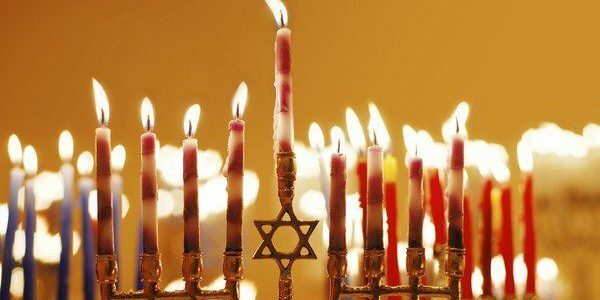 On December 4, 1988, Lithuanian Jews came together and collected funds for a shared Hanukkah celebration. This was a memorable holiday in Vilnius, a big event with a beautiful group of people at the Dainava restaurant. Yiddish was spoken and sung. The cultural events group of the Lithuanian Jewish Cultural Association drafted the program and organized the event. The Fayerlakh Jewish ensemble with directors Griša Kravecas and Ana Kravec performed, as did the ethnographic ensemble conducted by Amos Traub and the Kaunas Jewish stage ensemble. Chaimas Gurvičius directed the concert. About 370 people attended. Chairman of the board of the Lithuanian Cultural Fund Česlovas Kudaba greeted the audience, and deputy chairman Tarvydas also took part. This was a grand Hanukkah evening celebration with a concert and speeches. Remember what that time was like in Lithuania–the independence movement Sąjūdis had formed and Lithuanian Jews from different cities and towns came together and were part of Sąjūdis. Everyone was exhilarated, excited, happy that finally with the national rebirth of Lithuania the Jews of Lithuania could celebrate together that great holiday of the triumph of the spirit, Hanukkah. The majority sought to attend, there weren’t enough places and it was impossible to get in. At that time there were 17,000 Jews living in Lithuania. 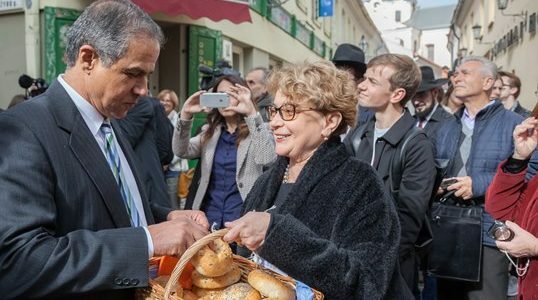 The Lithuanian Jewish Community held a picnic/barbecue to celebrate the 70th anniversary of the founding of the State of Israel in Vilnius April 29. Participants sang the Israeli national anthem in the warm spring air. Vocalists from the Fayerlakh ensemble sang Jewish songs and celebrants began to dance spontaneously throughout the event. It was an all-ages, family affair with grandparents, parents and children attending. While some barbecued, others set the tables and served, and the younger children swung on swings, played and ran around. Armed with a festive mood members of the Kaunas Jewish Community met for one of the happiest times of the year to commemorate the liberation of the Jewish people from the Land of Egypt and to celebrate the coming of spring during Passover. There was a musical program and a quiz to test knowledge of holiday traditions. The winners–Filomena Jančiuvienė, Raja Verblinskienė and Robertas Baltusevičius–received health-care products as prizes. It was endlessly good to see how warmly members got along and how much fun we all had together, without regard to age. Beloved and much-missed Fayerlakh musicians Michailas and Leonardas helped put the icing on the cake and seemed willing to play till dawn. The Lithuanian Jewish Community Social Programs Department and the Goodwill Foundation financed the event. A Jewish calendar published by the Lithuanian Jewish Community last year took first place in an annual Lithuanian calendar contest October 20. The 28th annual Laurynas Ivinskis Prize ceremony was held in Kuršėnai, Lithuania with live Lithuanian folk music and a performance by the Fayerlakh ensemble. The theme of the LJC calendar for 5777 was Lithuanian rescuers of Jews. It featured interwar president Kazys Grinius and wife Kristina on the cover, both Righteous Gentiles. Each month featured more than one story of rescue. Laurynas Ivinskis (1810-1881) was a 19th century calendar maker whose agricultural calendars were also more text than calendar, and were for a period of time forbidden by Russian authorities because they were written in Lithuanian using the Latin rather than Cyrillic alphabet. His almanachs included stories and parables in pre-standard Lithuanian. A week has passed during which Lithuanian remembered her shtetlakh. The fourteenth celebration of the annual European Day of Jewish Culture has taken place in Lithuania, this year with the theme “Diaspora and Heritage: The Shtetlakh.” Lithuanian towns which used to be called shtetlakh hosted events, tours of surviving old towns and Jewish residential sections, interesting talks on the former life of Litvaks there. The word shtetl was heard much in Lithuania after the Holocaust, with the loss of the former Litvak world and the Yiddish language. 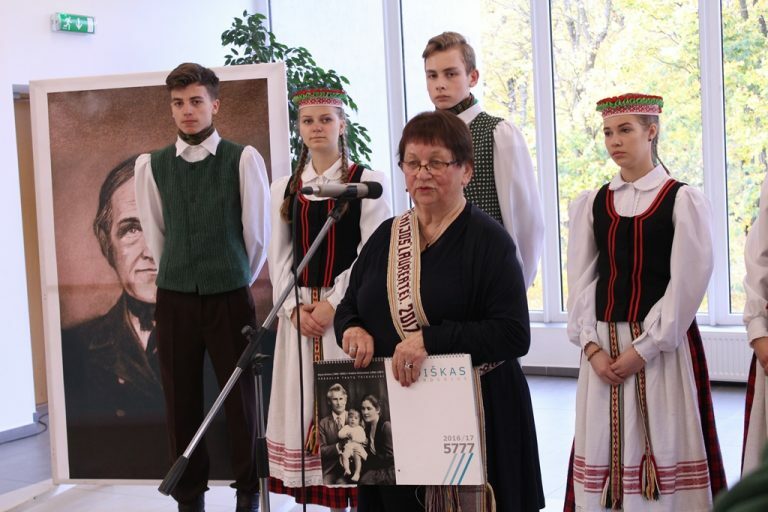 This year the European Day of Jewish Culture was observed in more than 20 towns and cities, including Alytus, Jurbarkas, from Kaunas to Žasliai and Žiežmariai, Kelmė, Klaipėda, Kretinga, Molėtai, Palanga, Pakruojis, Pandėlys, Pasvalys, Pikeliai, Šiauliai, Šilalė, Jonava, Joniškis, Kupiškis, Darbėnai, Šeduva, Švėkšna, Ukmergė, Zarasai and Želva. The Lithuanian Jewish Community thanks all the participating cities and towns for remembering the shtetlakh and the Jews who lived, traded, created and built there. They deserve to be remembered. Many cities and towns held lectures, conferences, exhibits, concerts and film screenings this year. LJC chairwoman Faina Kukliansky also thanks the organizers of the events at the Jewish Community for their interesting program, and thanks the participants and speakers who spoke about the remaining traces of the shtetlakh in Lithuania. We thank Fania Brancovskaja, Vytautas Toleikis, Sandra Petrukonytė, Ilona Šedienė, Rimantas Vanagas and Antanas Žilinskas not just for their interesting presentations, but also for their own work, books and research on Jewish history, contributing to making the shtetlakh part of the heart of our country, without which Lithuania is impossible to imagine. Thank you also to the Bagel Shop Café for the tasty Jewish dishes, the Sabbath ceramics exhibit and the holiday atmosphere, and to the Fayerlakh ensemble for the wonderful concert! Our sincere thanks to everyone. 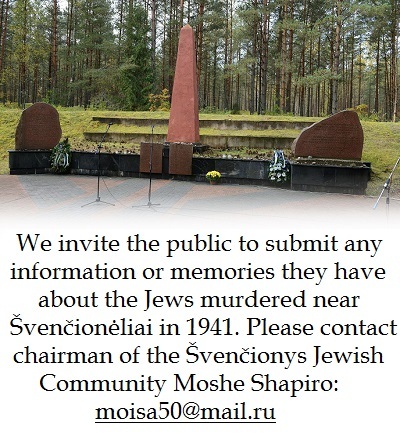 The Lithuanian Jewish Community invites the public to attend an event dedicated to the Jewish shtetls of Lithuania to commemorate and remember together this period of Lithuanian history, interesting and dear to us but cut short by the Holocaust and which has become a subject of academic interest and heritage protection. The theme of this year’s European Day of Jewish Culture on September 3 as confirmed by the Cultural Heritage Department to the Lithuanian Ministry of Culture is “The Diaspora and Heritage: The Shtetl.” This is an intentional, mature and topical choice for a country where the life of the largest ethnic and confessional minority, of the Jews, thrived namely in the Lithuanian shtetlakh until 1941. 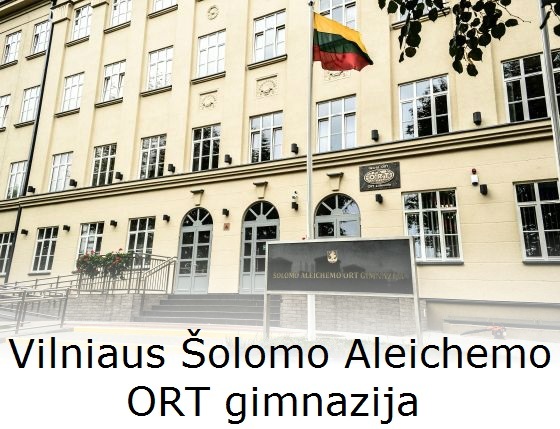 The Lithuanian Jewish Community will host an event called “Shtetlakh of Lithuania” on the third floor of the community building at Pylimo street no. 4 on September 3 to celebrate the European Day of Jewish Culture in 2017. The event will kick off with a bagel breakfast and a presentation and tasting of authentic Jewish recipes at the Bagel Shop Café on the first floor at 9:00 A.M. Following that everyone is invited to attend a short Yiddish language lesson. A brunch awaits the graduates at the Bagel Shop Café. At 2:00 P.M. guest speakers will begin delivering free public lectures on the shtetlakh of Aniksht (Anykščiai), Eishishyok (Eišiškės), Sheduva (Šeduva) and Vilkovishk (Vilkaviškis) and what remains of them. A challa-baking lesson and presentation of the Bagel Shop Café’s new ceramics collection begins at 4:00 P.M. The Jewish song and dance ensemble Fayerlakh will perform a concert at 6:00 P.M. The Rakija Klezmer Orkestar will also perform a concert at 3:00 P.M. in the Šnipiškės neighborhood of Vilnius. 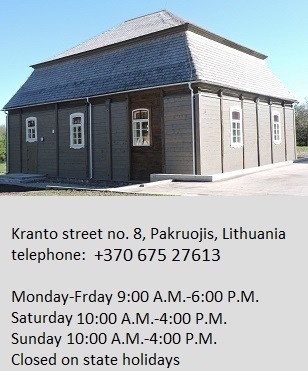 “The reality in Lithuania is that If you want to learn more about the material and immaterial cultural heritage of a given town in Lithuanian (including the architectural features and aura of buildings, demographic changes and consequent changes in the structure of the town, changes in political structure and the ensuing canonization of ideologized development patterns), you will, unavoidably, run into the word ‘shtetl.’ You will find no better opportunity to understand what this is and to discover the shtetl in the features of buildings still standing in the towns than the events for the European Day of Jewish Culture on September 3,” director of the Cultural Heritage Department Diana Varnaitė said. The word shtetl is an old Yiddish diminutive for shtot, city, meaning town. The towns of Lithuania where Jews comprised half or the majority of the population, characterized by Litvak energy and the bustle of commercial activity, are often called shtetlakh, the plural of shtetl. It’s thought shtetls evolved into their modern form in the 18th century. Malat, Kupeshok, Zosle, Olkenik, Svintsyan, Vilkomir, Gruzd, Eishyshok, Utyan–these are just a few of the surviving Lithuanian towns. “We didn’t travel to my grandparents’ village in the summer. 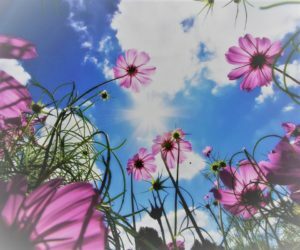 We didn’t have any ebcause they were murdered in the Holocaust, or had moved from their shtetlakh to Vilnius or Kaunas because they could no longer live there without their loved ones and friends lying in the pits together with the bodies and souls of the other unfortunates. “The Kuklianskys who survived, however, my father, my uncle who hid in trenches from the Nazis near the shtetl of Sventiyansk, were rescued by local village people, but for their entire lives longed for their home on the banks of the Ančia River in Veisiejai, Lithuania. There was no place happier or more beautiful than their native shtetl. Perhaps because their mother hadn’t been murdered yet. “The eyes of my mother, who was born in Keydan (Kėdainiai) and spent her childhood in Shavl (Šiauliai), her eyes used to just shine when she remembered how they used to go to the ‘spa town’ of Pagelava near Shavl in horse-drawn cart. 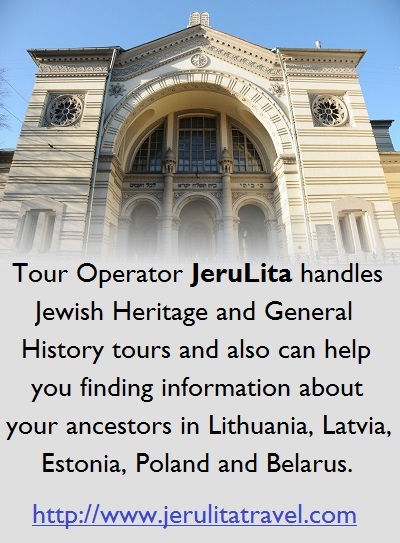 Those who seek to find the traces of the lost and concealed presence of the Jews only have to find their way to the center of a Lithuanian town, to the old town, where the red-brick buildings still stand. All of the old towns of the small towns were built by Jews. The same goes for the former synagogues, schools, pharmacies and hospitals. Cultural heritage experts tell us market day and the Sabbath were the main events of the week in the Lithuanian towns. Both were observed. After the Holocaust the shtetlakh were empty, the Jewish homes stood empty even if they still contained family heirlooms and the items acquired over lifetimes. Non-Jewish neighbors often moved into these houses and took over the property. Now no one uses the word štetlas in Lithuanian, it sounds exotic and needs to be translated to miestelis. Happy birthday to the tireless director of and creative force behind the Fayerlakh Jewish song and dance ensemble, Larisa Vyšniauskienė. The Lithuanian Jewish Community hopes your wonderful smile never leaves you, that you continue to enjoy creative victories and inspiration, and that your life be filled with love and harmony. This year the theme is Lithuanian shtetlakh. Faina Kukliansky and honored guests to speak. Participants: Vytautas Toleikis, Fania Brancovskaja, Sandra Pertukonytė, Antanas Žilinskis, Rimantas Vanagas, Indrė Anskaitytė, Vita Ličytė and others. The Lithuanian Makabi Athletics Club delegation is leaving for the 20th Maccabiah Games, held once every four years, in Israel, where more than 10,000 athletes from 80 countries will compete. This will be the 8th Maccabiah Games attended by the Lithuanian team. 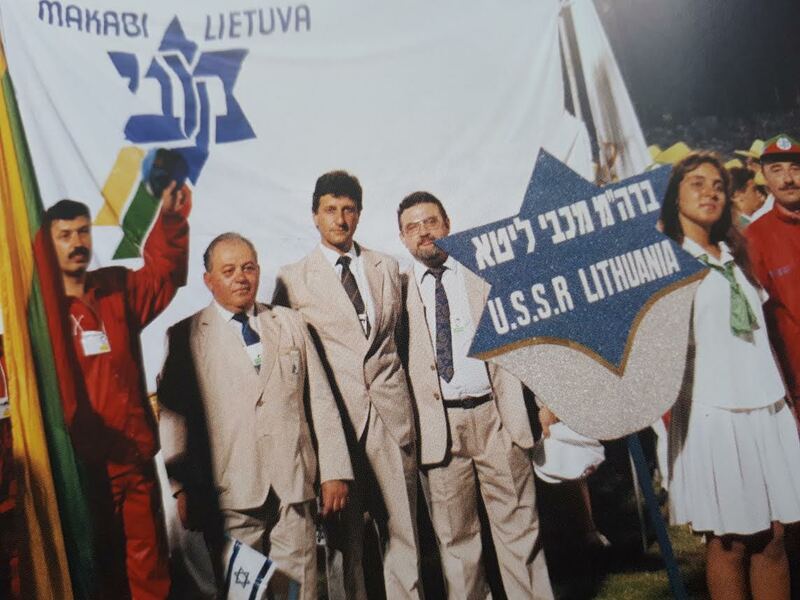 In 1989 the team was the first to carry the Lithuanian national flag at the opening ceremonies as the country sought independence from the Soviet Union. Club president Semionas Finkelšteinas and club athletes remember well the event. “The Lithuanian Makabi delegation will have 28 athletes in 8 sports: badminton, swimming, mini-soccer, judo, table tennis, tennis, chess and riding. A Canadian rider who has Litvak roots was accepted on the Lithuanian team since Canada didn’t send a team of riders this year. The Lithuanian team includes three former Maccabiah medal-winners: chess player Eduardas Rozentalis who took bronze in 1989, badminton player Alanas Plavinas who won silver in 2013 and Aleksas Molodeckis who took bronze in judo in 2013. “It’s important to us to participate in the Maccabiah and we never miss a single Jewish Olympics. Whether our team is stronger or weaker, we have always participated and won medals. This time we have five young people, three of whom expect to win medals. We have three badminton players, and the swimmer and strong table tennis player Neta Alon who could be a medal winner. Markas Šamesas and Vitalija Movšovič are our badminton players who could come home with medals. Among the adult athletes the chess player E. Rozentalis, badminton player A. Plavinas, and judo martial artist A. Molodeckij have a good chance of winning medals. Salomėja Zaksaitė, an accomplished chess player, will be competing at the Maccabiah for the first time. Our soccer team is traveling there with their new trainer Arūnas Šteinas. Three of our strong soccer players are unable to attend for various reasons. Artūras Sobolis couldn’t take time off work, Danielius Gunevičius’s trainer won’t allow him to go and Romanas Buršteinas has to attend to family matters. “All the young people will stay at the best hotel in Haifa. They will compete in the games after which they have a separate program of activities. The swimmers will compete at the Wingate sports complex. Athletes from 80 countries will attend Maccabiah opening ceremonies July 6 and global media always give large coverage to the event, the opening ceremony is covered outside Israel by CNN, BBC and other global televisions channels. The Jewish Olympics takes place once every four years and there is a broad cultural program arranged for all participants. This event is about more than just about sports. The Fayerlakh Jewish song and dance ensemble performed at the White Nights music and art festival-contest in St. Petersburg, Russia, from June 8 to 11, 2017. Fayerlakh competed in the category Folk Ensembles and Folk Songs, along with 65 other contestants. Fifty-nine finalists competed in the final concert, where Fayerlakh took first place. The Lithuanian Jewish group was also presented a gift certificate for high art in celebrating Jewish culture and traditions, which they will be able to use at the next festival-contest. Their performances at such festivals not only demonstrate the ensemble’s excellence and professionalism, but also stimulates tolerance between peoples and faiths. Besides presenting Jewish culture, Fayerlakh also presents multicultural Lithuania on the international stage. These sorts of tours and performances abroad also build real solidarity among members of the song and dance collective, crucial for further creative work. The competition also provided members of the collective the opportunity to see one of the world’s most beautiful cities, an important education inspiring and expanding the horizons of younger members of the ensemble. Fayerlakh performed a small concert at the Choral Synagogue in St. Petersburg. 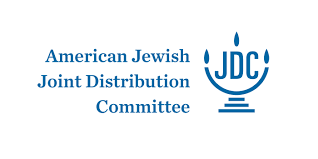 Director Larisa Vyšniauskienė and the entire Fayerlakh collective thank the Lithuanian Jewish Community, the Goodwill Foundation and the Joint Distribution Committee for their full support. A concert to celebrate the 45th anniversary of the founding of the Fayerlakh Jewish song and dance ensemble took place December 18 with an overflow crowd of well-wishers and fans. A large screen projection by the stage relayed images to those in the very back of the hall, and Jews from the regional communities as well as the Lithuanian capital turned out in abundance. The group performed some songs in Yiddish and the birthday coincided with the issuing of a new CD by the collective which includes qualified musicians from across the generations, from children to the elderly. Of the ensembles 40 or so members, the youngest is just five and the most senior about to turn 70. The little flame which sprang up in 1971 burns on, and the audience on December 18 included more non-Jews than Jews, including a delegation from the Association of Disabled Poles who attended in wheelchairs. The entire year has been a celebration of the collective’s birthday and in March Lithuanian prime minister Butkevičius sent warm wishes for their continued success. The ensemble was presented with a large cake with small flames at the mid-December celebration, and Lithuanian parliamentary speaker Pranckietis hailed the longest-surviving musical group in Lithuanian history as well. Celebrating their 45th birthday, the Jewish song and dance group Fayerlakh is inviting everyone to a concert at the Vilnius Polish House of Culture (Naugarduko street no. 76, Vilnius) at 5:00 P.M. on Sunday, December 18. The concert will feature Jewish dance, Yiddish songs and a group of klezmer musicians. The ensemble is constituted of over 40 members and the youngest Fayerlakh member is just 5 years old. The oldest is now almost 70. Although times change, Fayerlakh stands as an unextinguished flame, formed way back in 1971. Tickets just 8 euros for Jewish Community members! Žydų gatvė (Jewish Street, aka Yidishe Gas, aka ulica Żydowska), where the traditional Jewish quarter and the Great Synagogue of Vilnius was located, got a new sign in Yiddish and Hebrew Tuesday. This was one in a continuing series of new signs in foreign languages, a controversial effort by Vilnius mayor Remigijus Šimašius to showcase the multicultural identity of the Lithuanian capital. Earlier signs in “minority” languages included ones for Islandijos [Iceland] street, Washington Square, Varšuvos [Warsaw] street, Rusų [Russian] street and Totorių [Tatar] street in Vilnius. 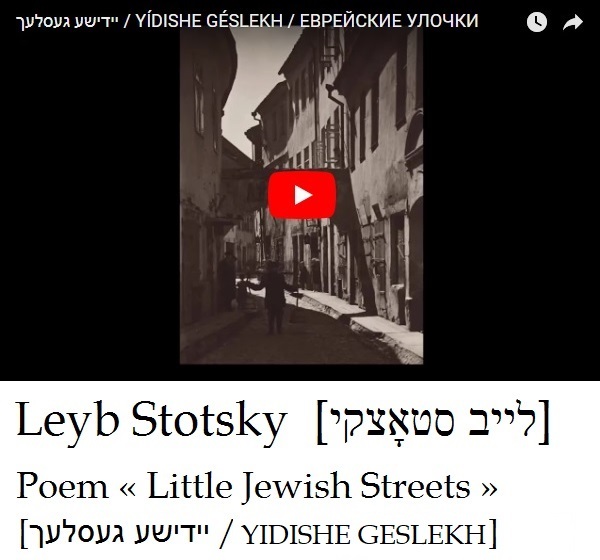 Žydų gatvė (Jewish street, aka Yidishe gas, aka ulica Żydowska), where the traditional Jewish quarter and the Great Synagogue of Vilnius was located, is about to get signs in Yiddish and Hebrew. The special event to unveil the new sign is scheduled for 11:30 A.M., Tuesday, September 20 at Žydų street no. 2. The program includes a performance of a piece by the Jewish song and dance ensemble Fayerlakh, followed by Vytautas Mitalas, chairman of the Vilnius municipal council’s culture, education and sports committee, presenting Vilnius mayor Remigijus Šimašius. Šimašius is to present a small speech. Mitalas will then introduce Lithuanian Jewish Community chairwoman Faina Kukliansky, who will also deliver a small speech. The mayor and the chairwoman will then unveil the new street sign. Fayerlakh is then scheduled to perform another song. The historic street and a neighboring street were cleared of their mainly Jewish residents in 1941 when the Nazis and Nazi collaborators set up the Vilnius ghetto. The residents were murdered and a large population of Jews from other parts of the city were forced into the cramped quarters there. It was part of the so-called Small Ghetto in Vilnius, liquidated in October of 1942. Žydų gatvė was the site of the Shulhof, the collection of buildings built around the location of the residence and study of the Vilna Gaon and the Great Synagogue.